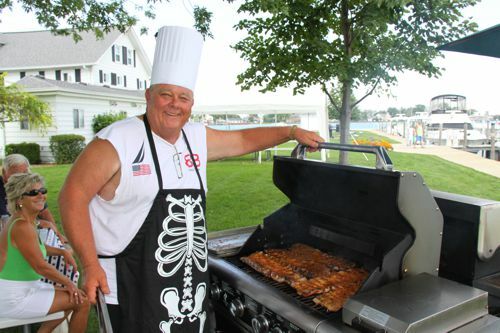 Every Friday during boating season, our caterer turns the Club’s commercial kitchen, large dining room and bar into a first rate restaurant with full dinner menu plus a soup and salad bar. Saturday usually brings at least one event that’s built around food. It could be anything from our Steer Roast, Big Rib Smoke Out and Polish Night to pot lucks or hamburgers, hot dogs and beer. There are also a number of gas grills and picnic tables located around our beautiful Island. 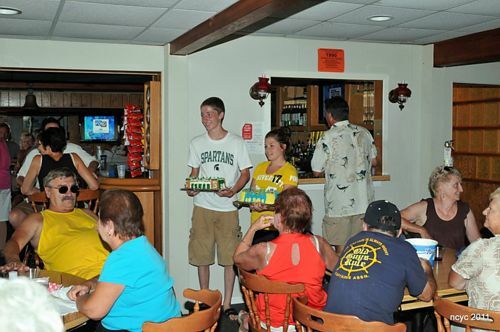 The more restless among you can venture to several nearby, off-island restaurants; one right next to our mainland shuttle dock. Several of these venues are accessible by boat. But, most of you will find all the epicurean adventure you need right on the Island.